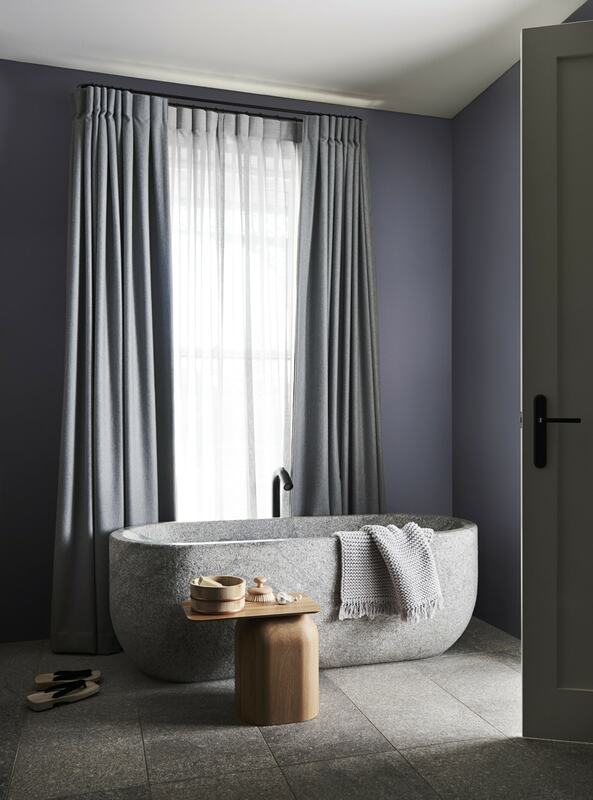 With four distinct but equally sophisticated palettes, the Dulux Colour Forecast 2019 is all about creating your happy place. 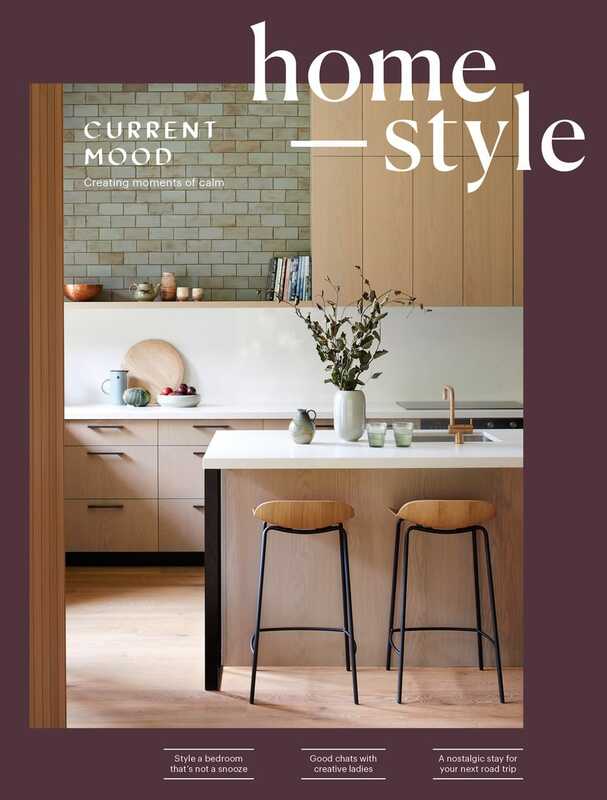 Helping to clear away mental clutter, Wholeself (also pictured on the previous pages) creates calm, distraction-free zones where you can dial down the visual volume and reconnect with yourself. 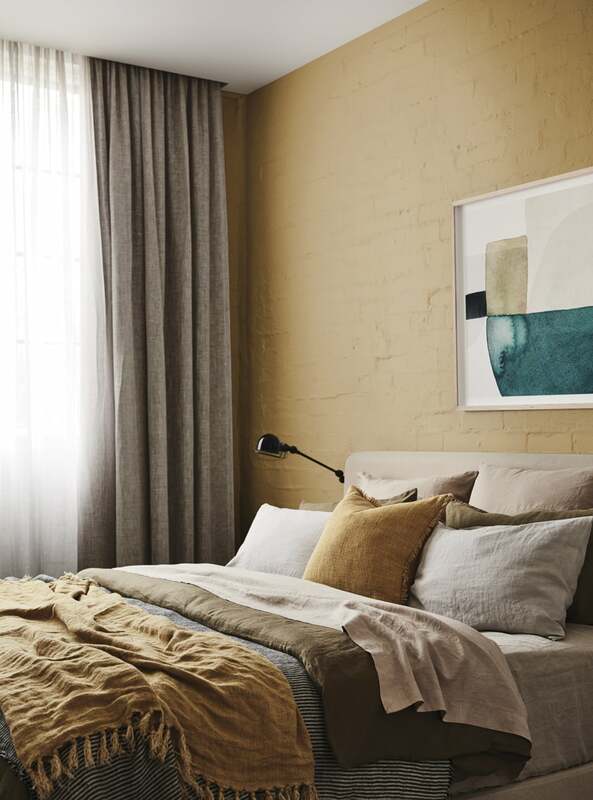 Soft blushes and grey-green balance warm and cool, while enticing neutrals and glamorous golds are tempered by mauve greys. 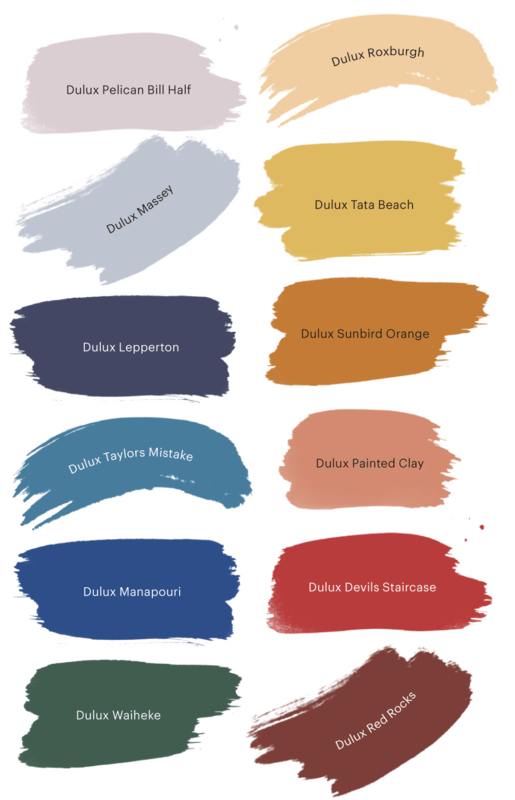 MAIN IMAGE Paint colours: Wall in Dulux Silver Thaw, Ceiling in Milton. 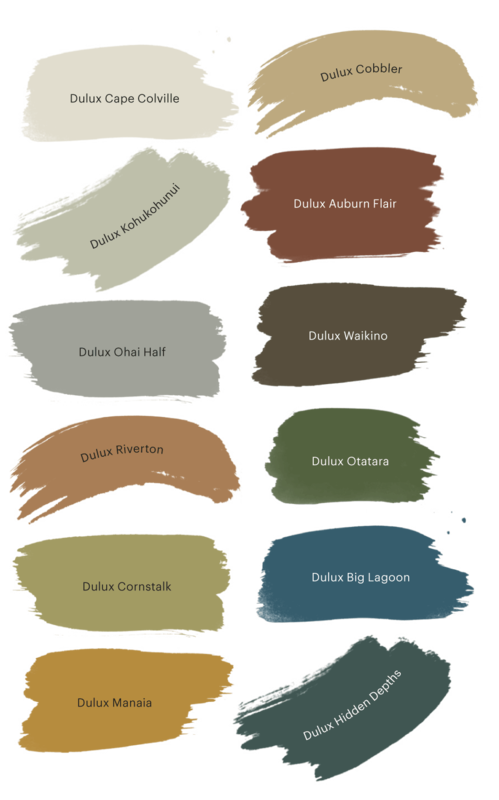 TOP IMAGE Paint colours: Wall in Dulux Jacks Point, Ceiling in Dulux Cardrona. ABOVE IMAGE Paint colours: Wall (front) in Dulux Benhar, Wall (rear) in Dulux Baylys Beach. Break out of the mould and reveal the real you with Identity, which empowers you to take a walk on the wild side and express your inner creative. Who cares what anyone else thinks? If, like us, you love these vibrant combinations of saturated blues, purples and oranges against a base of paler notes, we say you do you. Wall (right) in Dulux Painted Clay, Ceiling in Dulux Southern Alps. Artwork: Ionisation by Liam Snootle, studiogallerymelbourne.com.au. 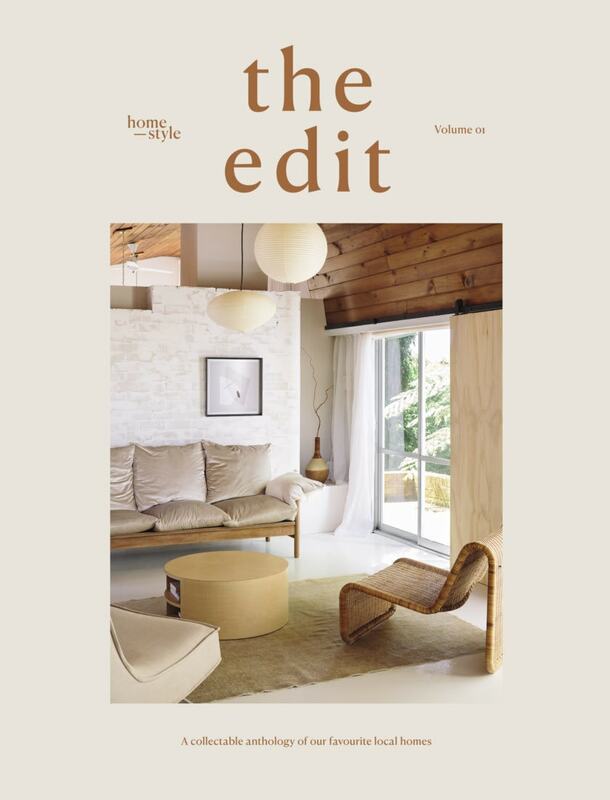 Hot new looks and futuristic technology might catch our eye, but there’s no denying the nostalgic charm of days gone by. Legacy brings past and present into timeless harmony with an eclectic mix of influences. 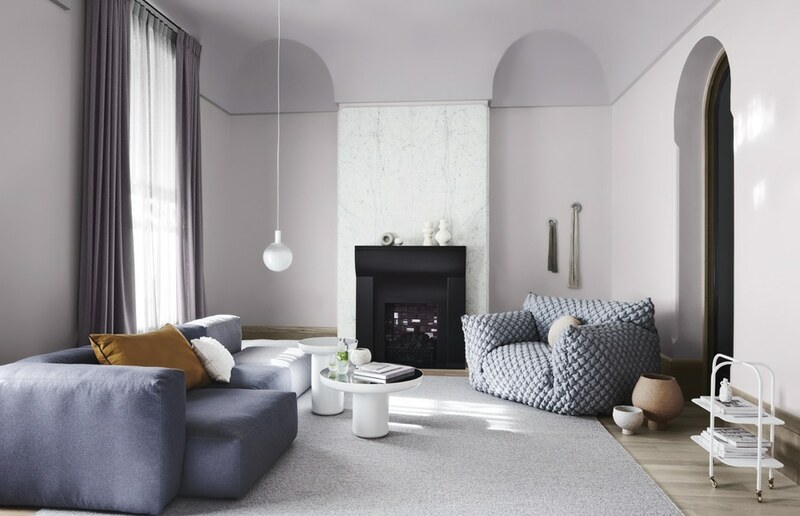 This captivating palette of saturated hues ranges from pale pink, to orange, to soft lilac and mauve. 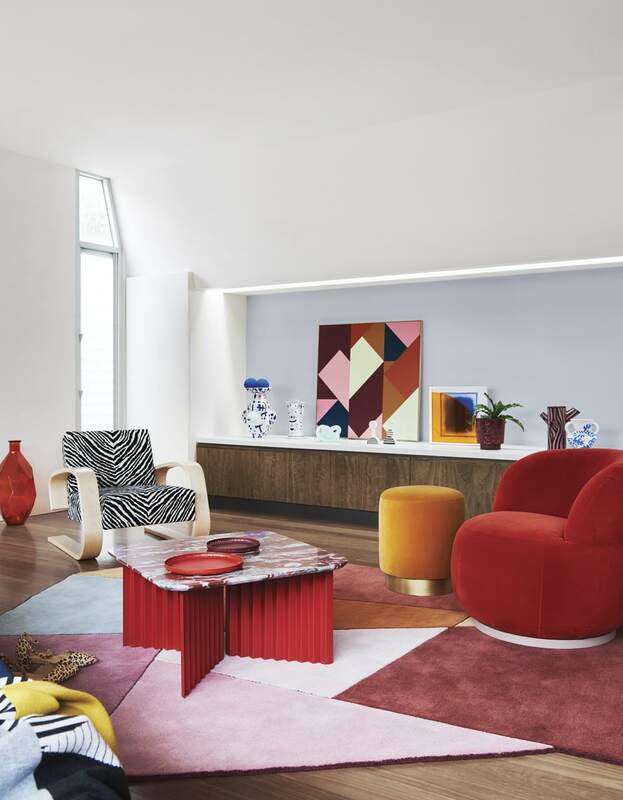 Red, blue and green accents create an eye-catching contrast. 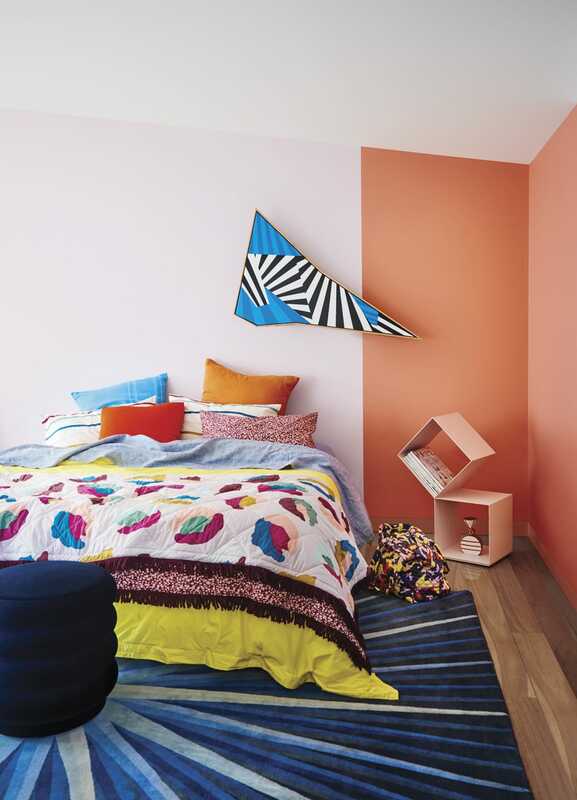 TOP IMAGE Paint colours: Wall (rear) in Dulux Shepherd’s Warning, Console in Dulux Federation Brown, Ceiling & trims in Dulux St Clair Quarter. Artwork: Orphelia Ritual One print by Tableau Vivant and Jonathon Griggs, figgoscope-curates.com. 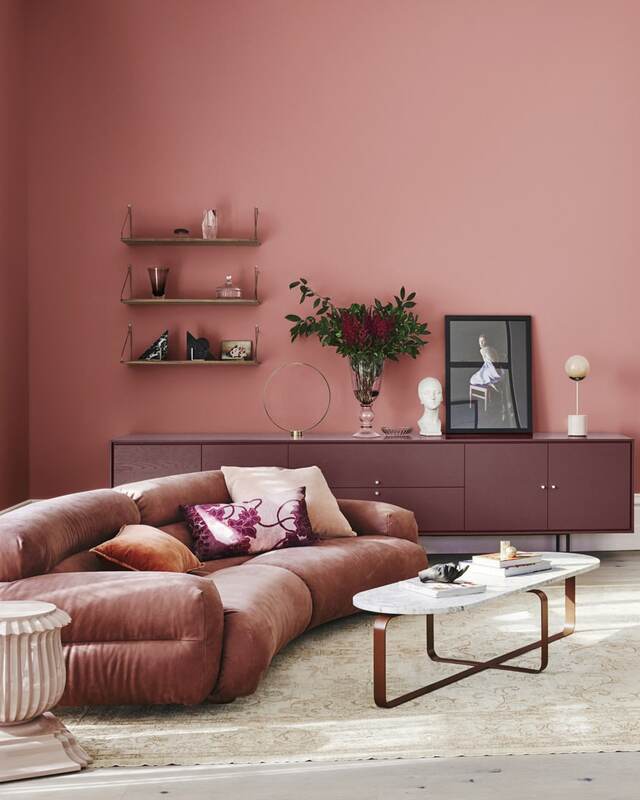 ABOVE IMAGE Paint colours: Wall (front) in Dulux Hothouse Orchid, Trims in Dulux St Clair Quarter, wall (rear) Dulux West Plains. 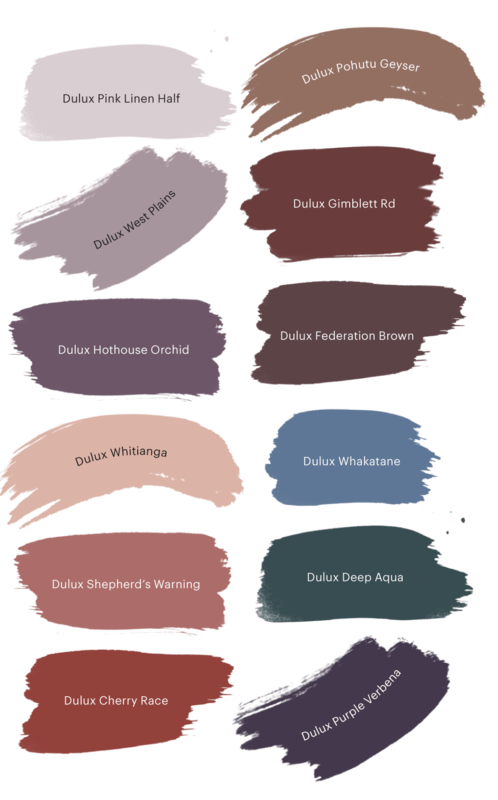 TOP IMAGE Paint colours: Wall in Dulux Cobbler, Wall in Dulux Cape Colville (above brick and bulkhead in kitchen), Ceiling in Dulux Cardrona. 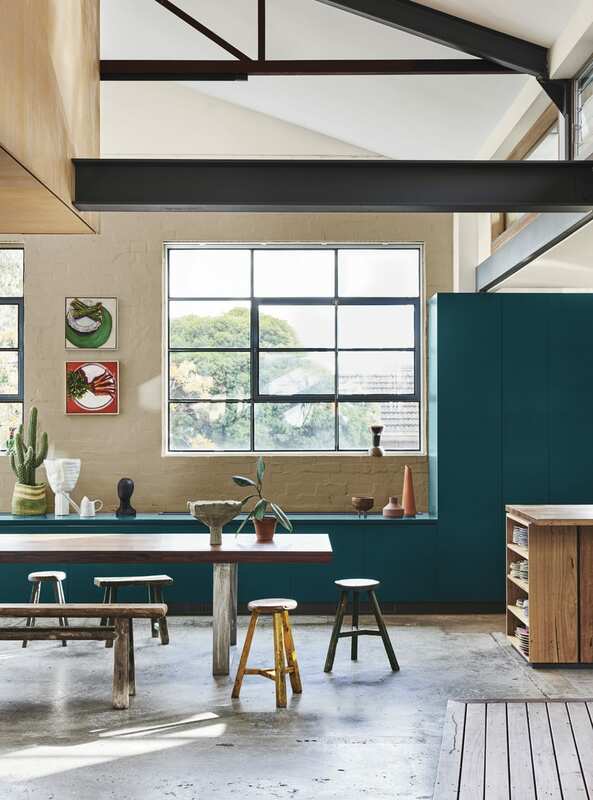 Cabinetry similar to Dulux Big Lagoon. Artwork: Asparagus and Carrots by Ali Wood, fentonandfenton.com.au. ABOVE IMAGE Paint colours: Wall in Dulux Manaia. 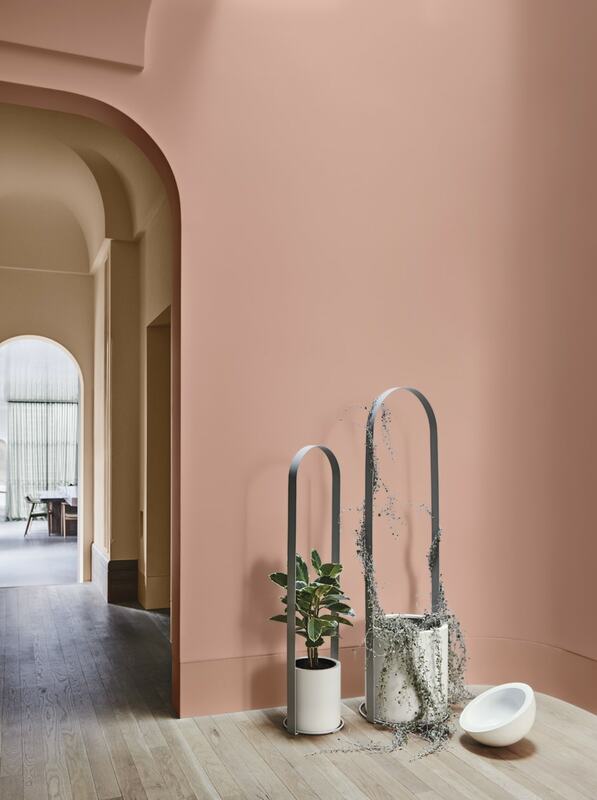 Artwork: Slipstream by Stefan Gevers, studiostefangevers.com.au.